DAVID THOMPSON ANTIQUES & ART, South Dennis, Mass. 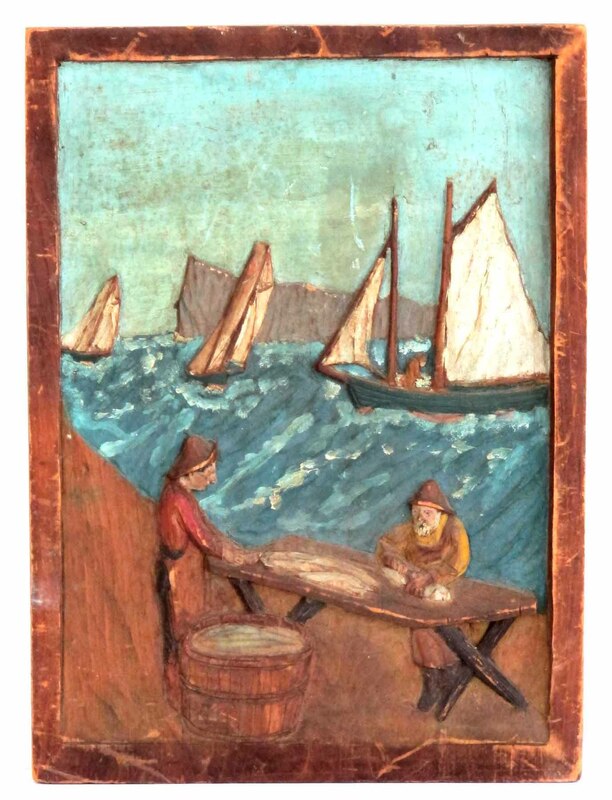 802-238-6987 Folk Art Carved and Painted Wood Scene of Fishermen Cleaning their Catch, with Fishing Boats in the Background. It was found in Maine and measures 14¼ inches high.